In a wok or large frying pan heat the oil till very hot then throw in the chicken strips, stir fry then for 1-2 minutes until brown on all sides. 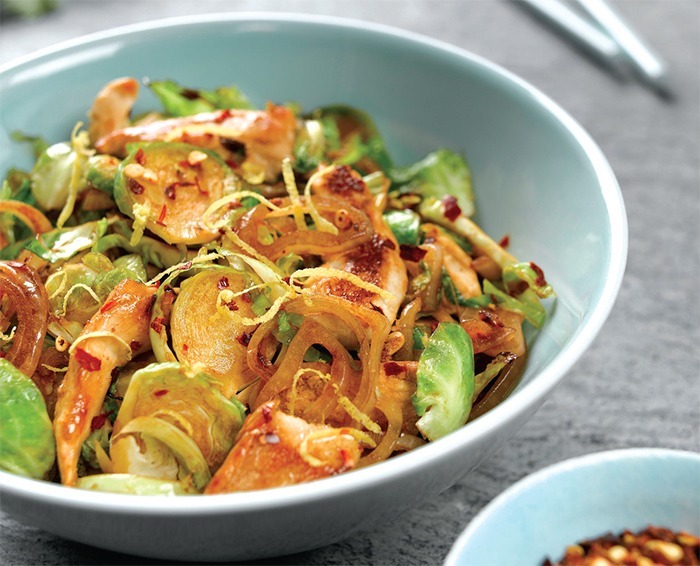 Add the shallots, sprouts, garlic and chilli to the pan and continue to stir fry for 3-5 minutes until the sprouts are tender. Stir through the lemon zest and soy sauce and serve. Notes: Add more chilli if you like it hot.